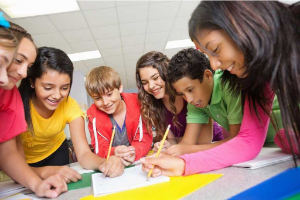 The Second Step Bullying and Substance Abuse Prevention program is an evidence based curriculum designed to decrease aggression, bullying and substance abuse and to increase students’ social skills and school success. The classroom based prevention program uses video clips, group work, class discussions, and skill practice. Five themes covered across the lessons: (1) empathy and communication; (2) emotion management and coping; (3) problem solving, decision making, and goal setting; (4) bullying prevention; and (5) substance abuse prevention.